John, you never cease to amaze me. This is one of the best things I have read ANYWHERE in a long while. I agree with Brian. Excellent read and fascinating. 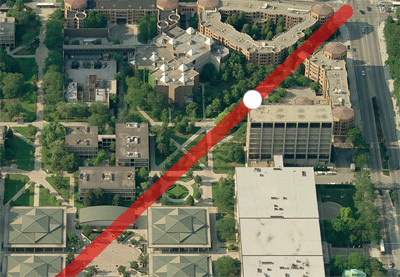 and zoom in on the map and click on UIC campus, the site will map historical photos and other data. What a marvelous story! And your writing is just captivating. I’ve done this same thing with the manifest records from ellisisland.org, and also with addresses written on photographs that belonged to my great-grandparents. I find it completely fascinating to see where they lived and to think about whether they considered their great-grandchildren 100 years later, still living in the City and loving the place they chose to settle. Thanks for this great essay. Could you read the occupation on the manifest you show? Its interesting that Giuseppe mentioned something when the other people wrote “none.” As I was reading this post, I found you almost reading my thoughts on how to clear up the address problem as I work with Sanborn and Robinson maps everyday for my job. A pretty extensive library of Sanborns is kept on file at the UIC library. 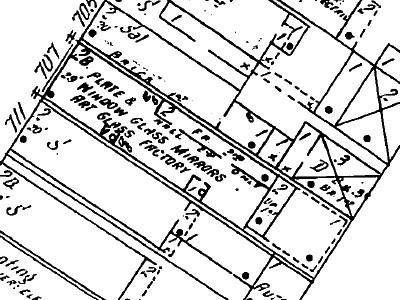 Although 707 was listed as the glass factory, it is located among other storefronts “S” and most likely people were living on the second floor, or in the rear building. 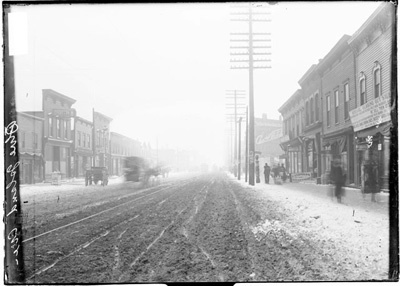 Note the rear building to the north is denoted “D” or dwelling. I agree with everyone else…what an interesting post. I just came across this while looking at the popular delicious bookmarks. But coincidently, I work a publishing company on the near west side, just north of where you’re talking about (we’re at Van Buren and Morgan). 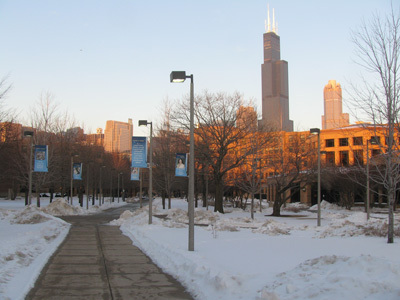 And we publish a book called “Finding Your Chicago Ancestors”. Jack, chicagoancestors.org is new to me: what a great resource. Thank you. Glenn, the occupation listed for Giuseppe is “laborer”. 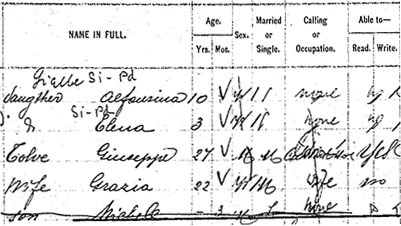 On his WWI draft card he is listed as a machinist at International Harvester, but I have to think that was an acquired skill as his town in southern Italy was purely agricultural. Thanks for the notes on the maps. Very possible that he was coming to visit someone who lived above the business. Therese, thanks for the pointer. Had no idea those books were out there! Very cool John. Thanks for sharing.